Adenosine deaminase (ADA) deficiency is an inherited disorder that damages the immune system and causes severe combined immunodeficiency (SCID). Children with SCID lack virtually all immune protection from bacteria, viruses, and fungi. They are prone to repeated and persistent infections that can be very serious or life-threatening. These infections are often caused by "opportunistic" organisms that ordinarily do not cause illness in people with a normal immune system. Infants with SCID typically experience pneumonia, chronic diarrhea, and widespread skin rashes, and grow much more slowly than healthy children. Some also have neurological problems such as developmental delay, movement disorders, and hearing loss. If not treated in a way that restores immune function, children with SCID usually live only a year or two. BioLife Solutions, Inc., a leading developer, manufacturer and marketer of proprietary clinical grade cell and tissue hypothermic storage and cryopreservation freeze media and a related cloud hosted biologistics cold chain management app for smart shippers, today reported several new customer disclosures on the use of the Company's CryoStor and HypoThermosol biopreservation media products in pre-clinical validation projects and clinical trials at the recent International Society for Cellular Therapy (ISCT) conference. St George's, University of London has signed an exclusive worldwide licensing agreement with rare-disease research-and-development firm Orphan Technologies Ltd to develop new therapies for deadly metabolic disorders. Severe combined immunodeficiency is defect in the immune system that results in a loss of the adaptive immune cells known as B cells and T cells. Mutations in several different genes can lead to the development of severe combined immunodeficiency, including mutation of the adenosine deaminase (ADA) gene. Traditional treatment options, such as enzyme replacement therapy, are of limited efficacy, but bone marrow transplant from a compatible donor leads to a better response. 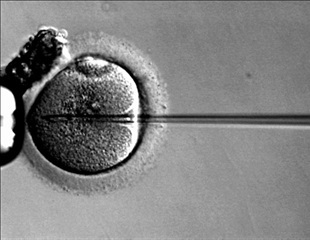 The global gene therapy market is expected to grow to over $300 million by 2015, according to a new report available on companiesandmarkets.com. The gene therapy market will grow further driven by the human genome project, the increasing incidence of cancer and other critical diseases. A pediatric immunologist at The Children's Hospital of Philadelphia collaborated with European gene therapy researchers who achieved marked clinical improvements in two young children with Wiskott-Aldrich syndrome, a very rare but often severe immunodeficiency disorder.